This article includes useful statistics about the number of African American students in metropolitan areas of Kansas. 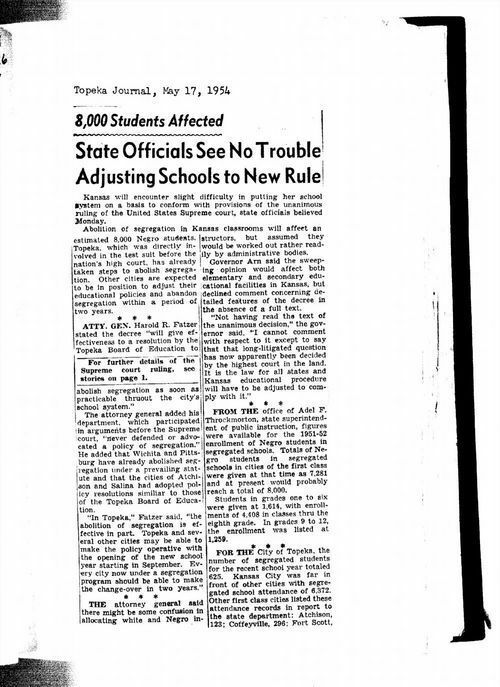 It could also be used to illustrate that many school boards throughout the state had already begun the process of desegregation even before the Supreme Court handed down its ruling in the Brown v. Board case. Students could construct a timeline of events to see how the situation in Kansas differed from that of other states undergoing desegregation.